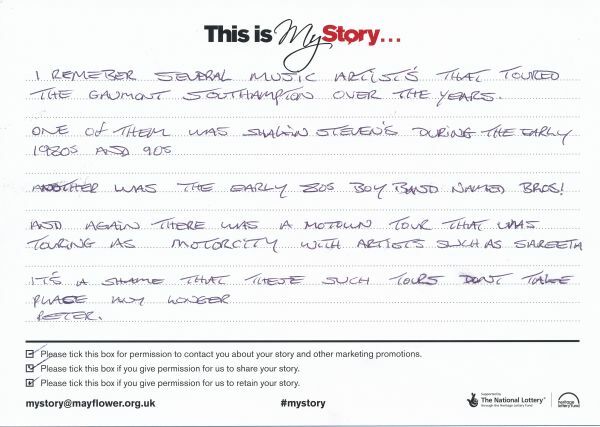 My Story card: Peter Burton remembers seeing bands and wishes they still came to the theatre. I remember several music artists that toured The Gaumont Southampton over the years. One of them was Shakin Steven's during the early 1980s and 90s Another was the early 80s boy band Naked Bros! And again there was a motown tour that was touring as motorcity with artists such as sareeta It's a shame that these such tour[s] dont take place any longer. Peter.